After some traveling and conferences and development sprints on other projects I have time this week to come back to the Stasi work. The first post is about the Stasi Records Agency (BStU), whose full name (in English) is the impressive, “Federal Commissioner for the Records of the State Security Service of the former German Democratic Republic”. 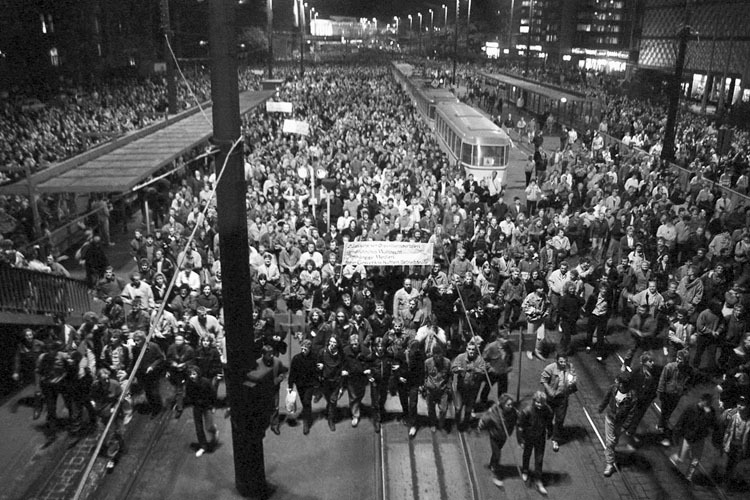 At the end of 1989 the Peaceful Revolution spread across the former East Germany. These protests led to the opening of the border via the emotional breaking apart of the Berlin Wall, as well as the end of the reign of the SED government, and with it, the Stasi. During the transition protesters realized the Stasi agencies were destroying the files that could incriminate them. Groups of citizens occupied Stasi offices across East Germany and sealed the buildings to prevent further destruction of information. On January 15, 1990, citizens gained access and occupied the Berlin headquarters of the Stasi. 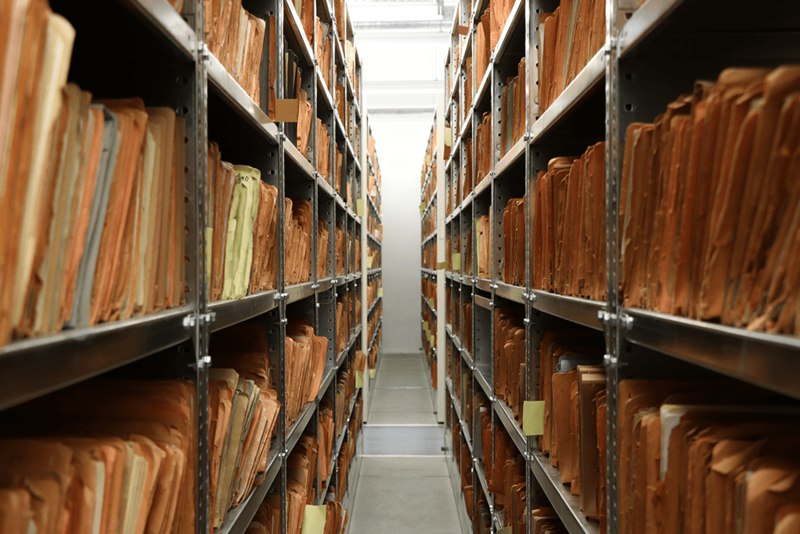 After German reunification the BStU was established to preserve the archives and investigate the past of the Stasi. Since January 1992 they have provided a service to allow citizens to view the Stasi files that concern them. In Berlin the BStU is located at 31 Karl-Liebknecht-Straße, with the files appropriately continuing to be located in the former Stasi headquarters on Frankfurter Allee in Lichtenberg. 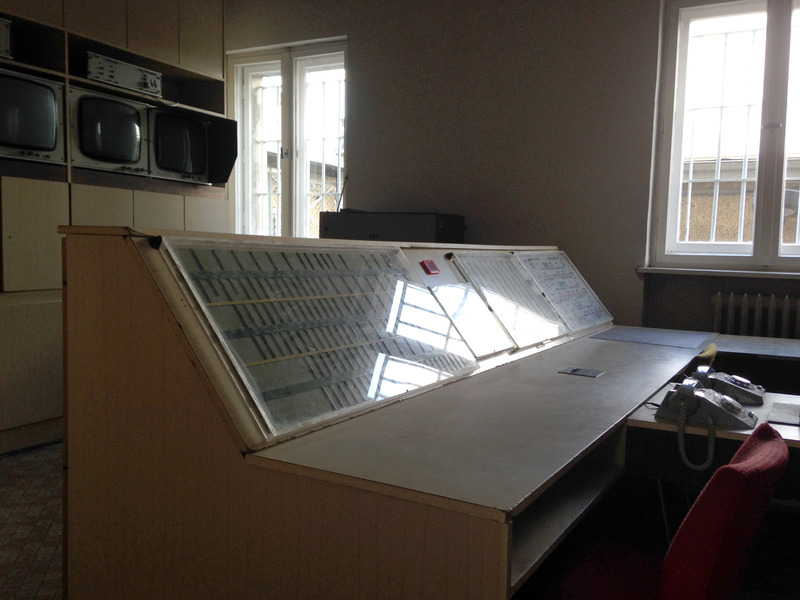 Here are some photos I took inside the archives in the former Stasi headquarters. 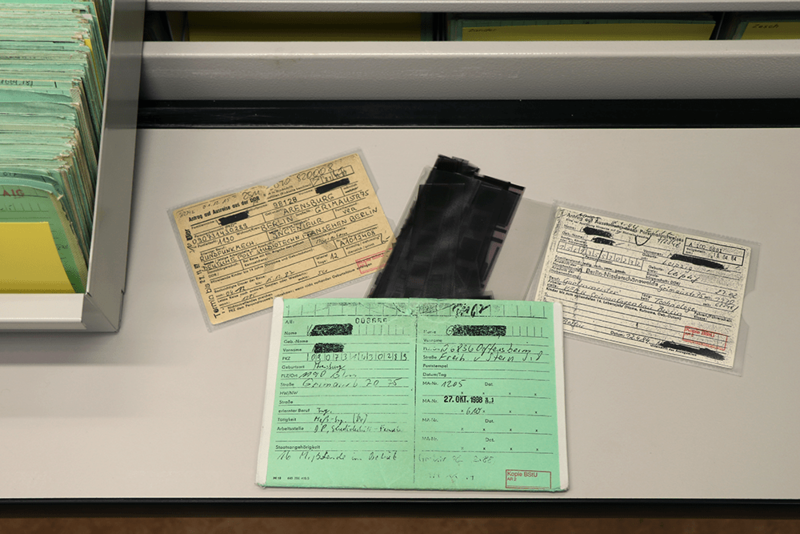 In addition to providing access to citizen’s files, the BStU assists scholars by allowing viewing of other Stasi documents. In my case, their staff helped me to find and view schematics of postal surveillance machines prepared by the Stasi OTS. 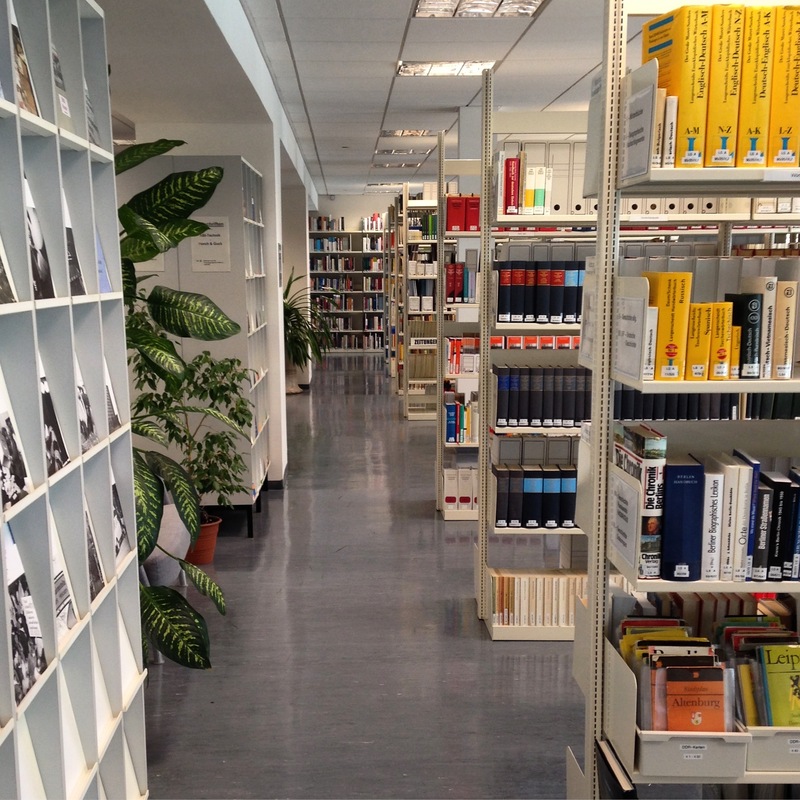 The BStU also has a thorough library at the Karl-Liebknecht-Straße location. Unlike the Stasi documents, which require one to make an application as a scholar, the library is open to the public. This week has been full of work on this project, including research in the BStU reading room, and making photographs at the archives at the former headquarters and the Stasi Museum. Today, for the first time, I visited The Memorial to Berlin-Hohenschönhausen, a large former prison complex which includes a former Stasi detention and interrogation center. 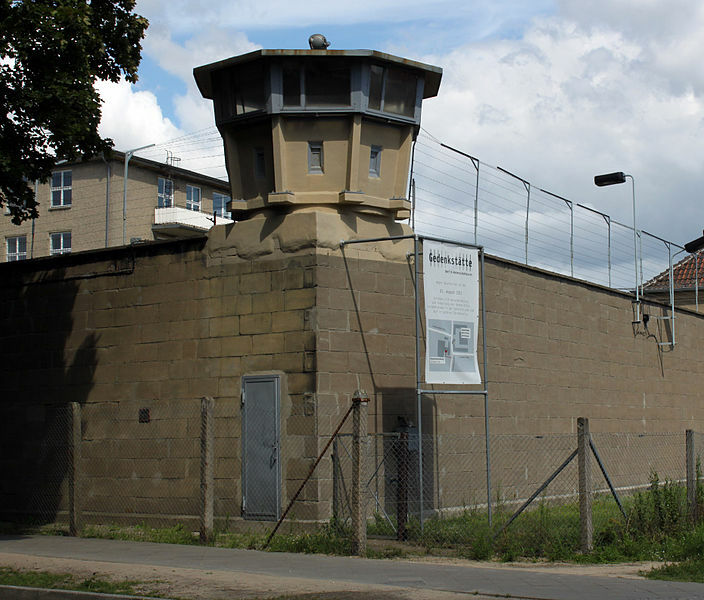 Berlin-Hohenschönhausen began as a Nazi barrack camp for prisoners of war during WWII. After the fall of Nazi Germany it was used by the Soviet NKVD (the secret police) as a camp for interning political prisoners and former Nazis. 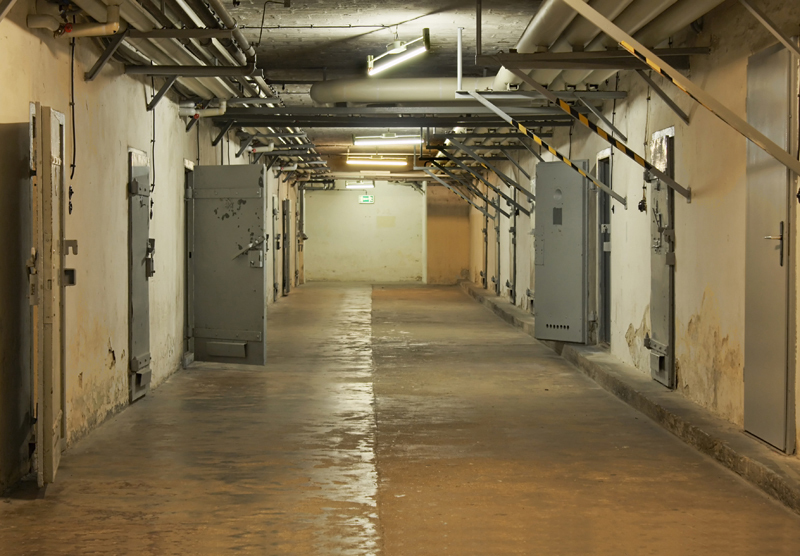 The facility was taken over by the GDR Ministry for State Security (MfS) in 1951. 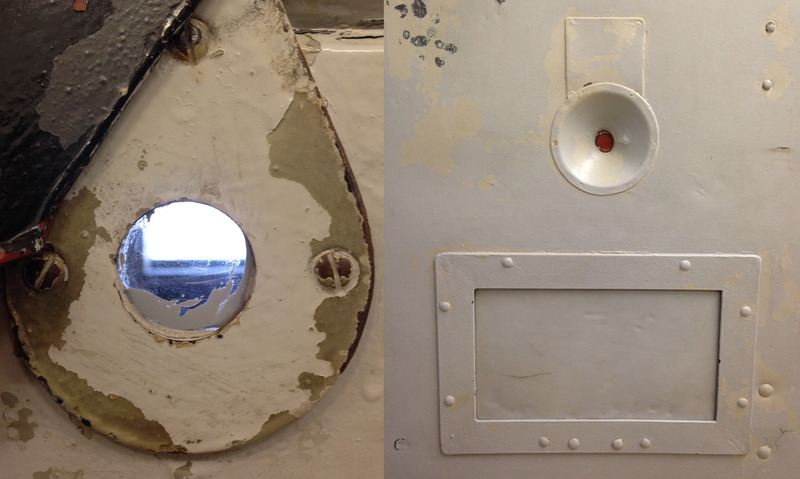 For nearly 40 years the MfS used part of it as a secret (it was not located on official city maps) detention and interrogation center. Here, over 10,000 political prisoners were detained and subjected to physical and psychological torture to gain information in preparation for sentencing by the courts. The MfS staff who worked here were trained at the “Stasi University” (Potsdam) to destabilize and destroy the personality of their prisoners. Their methods included sleep deprivation, isolation, and other harassment that left the prisoners psychologically damaged. They also made references to prisoners’ loved ones, spouses and children, in order to coerce confessions and encourage cooperation. The methods for social isolation were particularly effective. 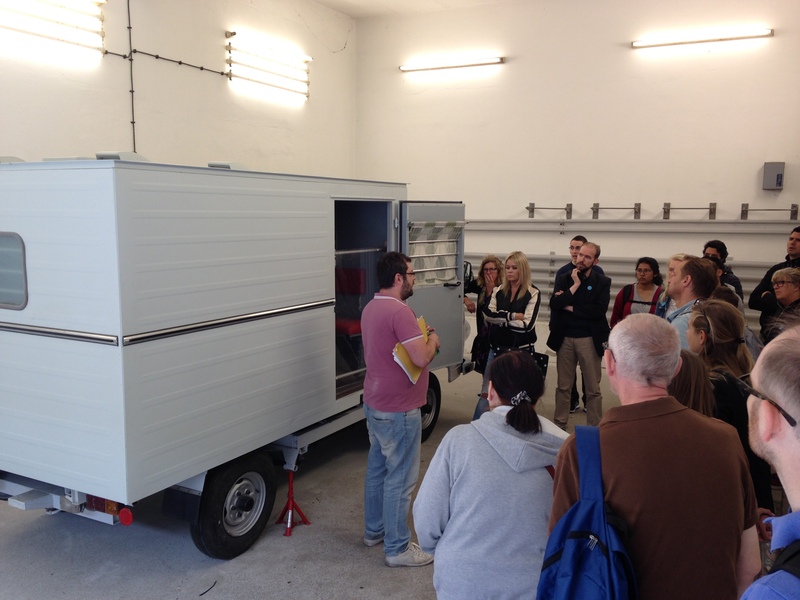 Prisoners were often kidnapped and placed in a cage inside a van disguised as a delivery vehicle. The vehicle would drive around endlessly to disorient the prisoner and then arrive at a special closed-off garage in the detention center. 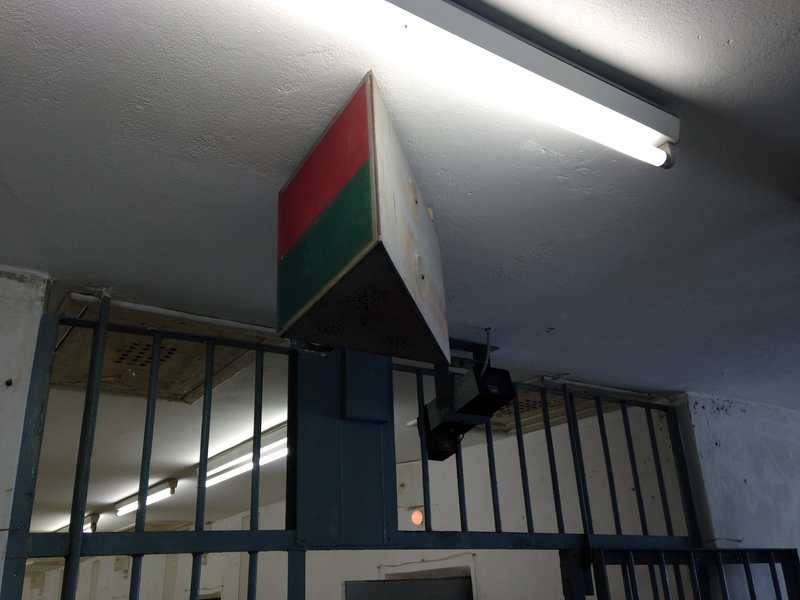 Once inside the buildings an elaborate series of electronic circuits controlled red and green lights in the hallways to direct the flow of prisoners and make certain they would never have the chance to encounter one another. This last note offers an important comparison to today’s social networks and surveillance capitalism methodologies. In social networks, the organization benefits from the flow of information between participants. They want to stimulate their users to interact and continue generating profit by using the site, producing data, and viewing ads. The Stasi’s torture of political prisoners, on the other hand, intentionally removed all stimulation and human contact. 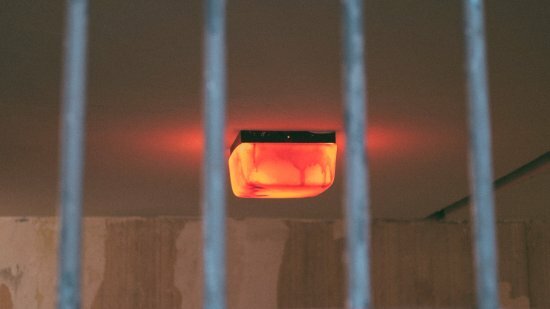 The sensory deprivation and isolation that prisoners experienced in their cells dehumanized, weakened, and prepared them to to give up information the Stasi wanted. 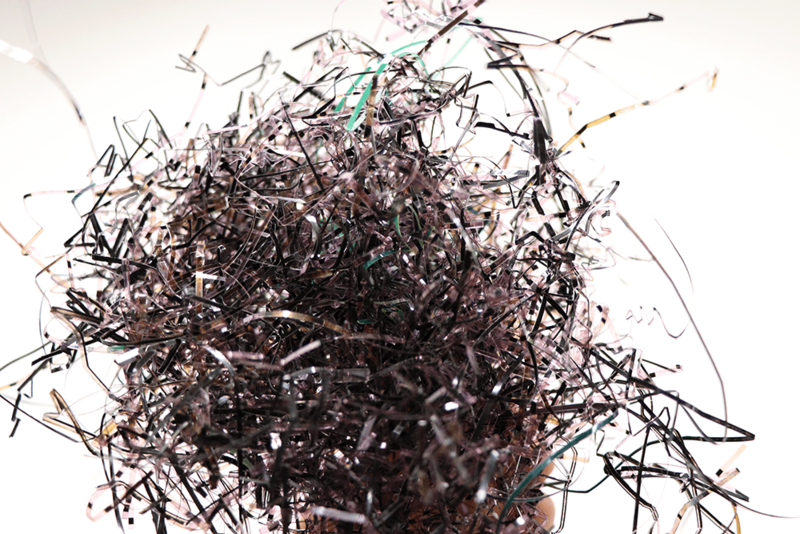 Digital information is inherently insecure. It’s easy to surveill, copy, and duplicate by design. Equally, it is easy to reimplement a surveillance software system that is designed to be sold to do so. The Stasi was a terrible organization, but their work was generally confined to the GDR. There was collaboration across the USSR satellite police organizations, but their work wasn’t on a global market. Looking back at the Stasi provides this evidence; The employees and stockholders of any company that benefits from the sale of such a system to inflict human rights abuses are as guilty as the Stasi employees who worked in the offices and never directly inflicted damage. Surveillance capitalism isn’t just about the profit generated by social network ads, it includes the manufacture and sales of systems like Evident, and all those who derive profit from such decentralized institutions. 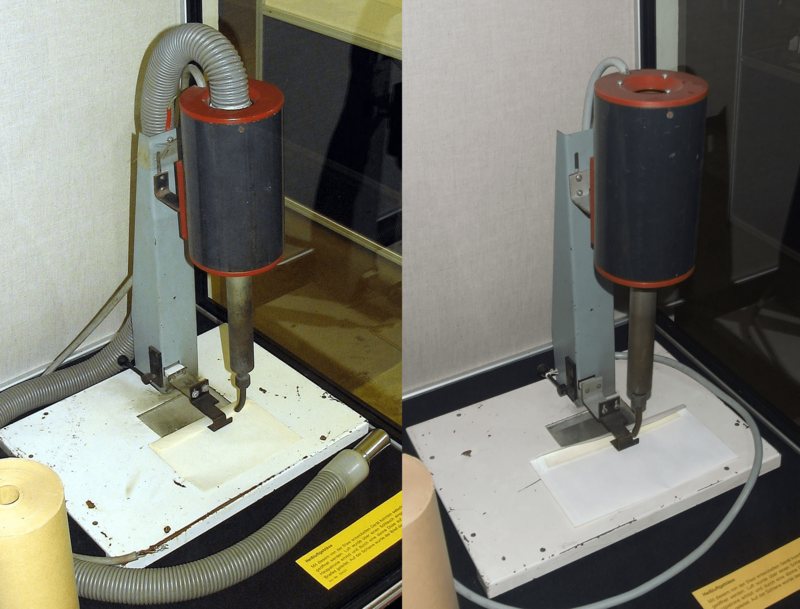 The next artifact in my list is the “Heißluftgebläse”—a hot air blower constructed by the Stasi for opening envelopes and packages sealed with rubberized self-adhesive tape. 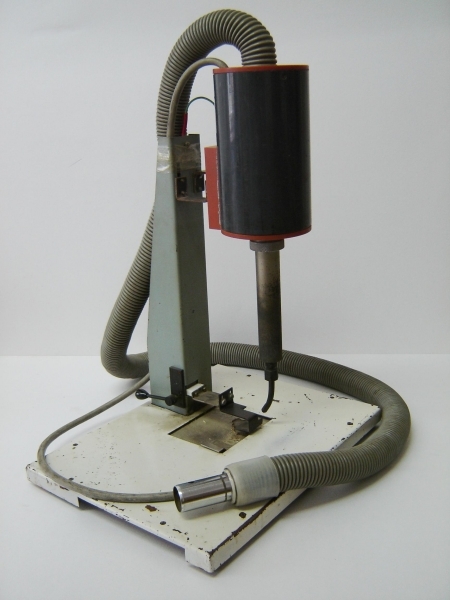 Unlike the various steam methods the Stasi employed, which only worked on water-based glues and could potentially damage the contents of letters, this machine was used to focus hot, dry air directly to the flap in order to soften and release the adhesive. Like other “hacked” machines constructed for postal surveillance the Stasi Operative-Technical Sector fashioned this blower using off the shelf, reused, and hand-made parts. In this case, they adopted a commercially-available vacuum cleaner to force air through a heating cartridge and down a steel tube towards a platform where workers laid envelopes. At the end of the tube there is a metal apparatus that could be used to focus the hot air and gently pry the envelope flap open. Impressively, the Runde Ecke index states this method be used to open up to 150 letters per hour. I’m particularly interested in the different representations of this machine. In these two photographs, both posted by the same Wikipedia user in 2008 just months apart, it appears there were two separate machines on exhibit. This is suggested by comparing the scratches on the base and stand. Yet, while they are clearly different, they are strangely positioned in exactly the same location—an exhibition at the Museum in der Runde Ecke which contains objects found in the Leipziger district administration for state security (BVfS)—with other obvious differences. In the 22 April photo (left) the vacuum cleaner is still attached, showing how the machine was originally used. But in the 27 July image the vacuum and tape have been removed. Was it needed for cleaning in the museum? Where could it have gone? There are additional small differences that point to these being distinct machines, the most noticeable of which is that a different bracket is holding the heating apparatus. It’s thanks to deviations like this that the telling of the story of Stasi postal surveillance continues to evolve. Aesthetic decisions that seem inconsequential—like a museum staff member replacing the device with the yellowing tape with the one that doesn’t look as disheveled—change how we are able to perceive the past. Here, those moments which make the economic and material constraints the Stasi OTS experienced while hacking and iterating across their analog surveillance devices become less clear. While, thanks to the BTsU we are fortunate to be able to dissect and interpret the methods of the Stasi, it is not possible to collect everything. This unfortunately obscures the parallels with our 21st century hacker culture that, like the Stasi, have grown into immense organizations intent on perfecting and perpetuating their power through surveillance. Heißluftgebläse zum öffnen von gummierten selbstklebenden Briefen (Inventory no. 00020). Objekt- und Fotodatenbank Online im Museum in der Runden Ecke. Accessed June 13, 2017. BStU. Die Stasi und das Postgeheimnis. Accessed June 10, 2017. 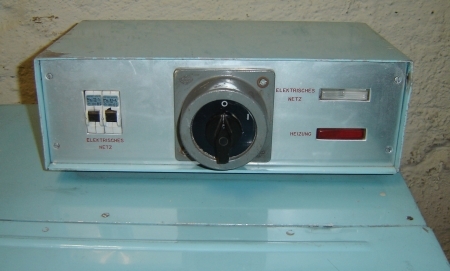 Since hot steam could damage sensitive contents like photographs, the Stasi used the C-83 (“Cellophan 83”) “cold steam” generating device to open those letters. Produced in Hungary, the C-83 used a special film (cellophane) stretched over a tray filled with distilled water. 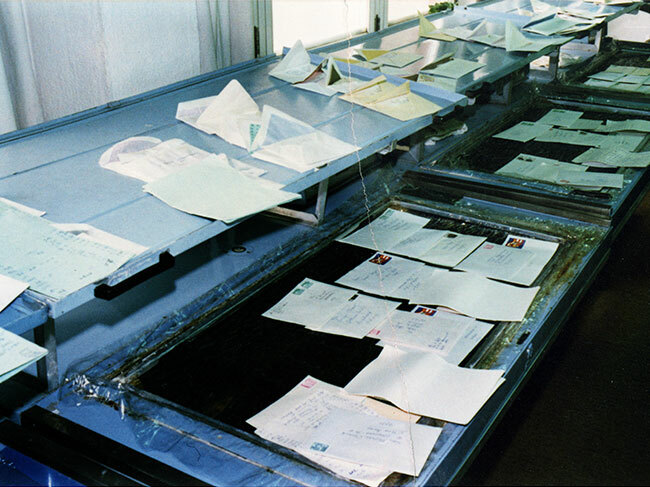 Up to 25 letters could be placed on the film, flaps down, so that when the water in the tray was heated to 50ºC the “cold steam” diffused through the film and dissolved the glue on the envelope flaps. The procedure was time-consuming because cold steam dissolved the glue at a much slower rate than the hot steam method. Once the glue started to soften, workers had could only lift the letters off the foil for a short time in order to carefully open them using a special spatula. It is unclear if this is an original mass-produced device or is a product modified by the Stasi OTS. It is constructed of painted sheet metal, cast plastic, and other materials that suggest it was primarily constructed in a factory, though it is possible the Stasi made modifications to assist in letter-opening. Kaltdampf-Öffnungsgerät zum öffnen von Briefen (Zellofanbodengerät) (Inventory no. 00006). Objekt- und Fotodatenbank Online im Museum in der Runden Ecke. Accessed June 13, 2017. 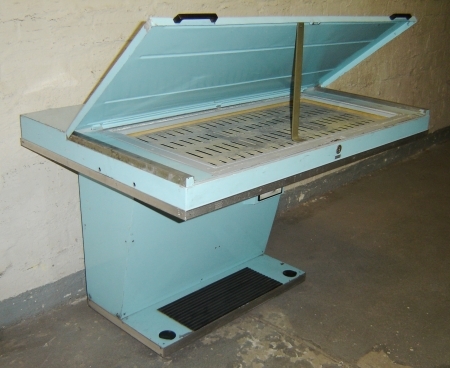 If the “W”-shaped, two-letter steam distribution grid was an “upgrade,” then the ultimate “deluxe” Stasi steam device for manually opening letters with hot water vapor is the “Arbeitstisch der Heißdampf-Öffnungsanlage 532” (English: Work Table for Hot Steam Opening System 532). 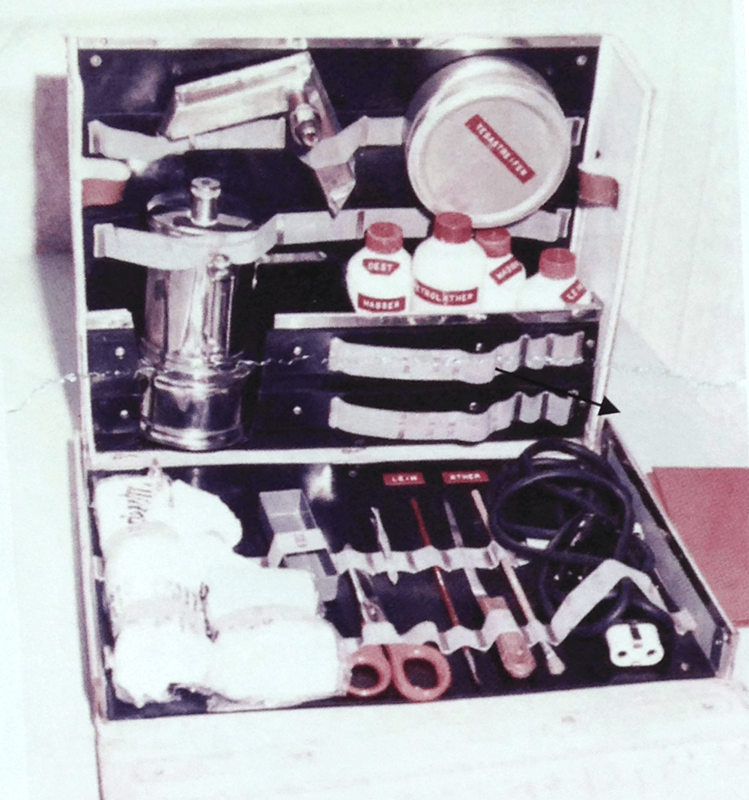 This modular table was constructed for Department M by the Operational-Technical Sector (OTS) of the MfS in the late 1970’s for manually steaming open envelopes with water-soluble adhesives. The Museum in der Runde Ecke has two of these modified working tables. There is no information on whether “532” is the model number or series number (which would imply there were 531 other models! ), and unfortunately I did not record the plate on the front last time in Leipzig, so I cannot confirm its contents until I return. 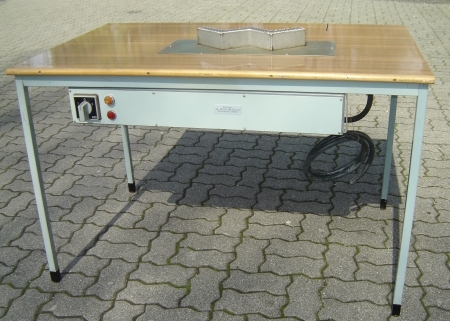 One of the Runde Ecke tables has its own power supply which could be connected to up to three other units to supply power in series (a.k.a. “daisy chaining”). In the center of each table is a “W”-shaped vapor dispersion grid on which two envelopes could be placed. Under the plate is the steam generator, which contained a heater, water storage, and float. While in operation a storage vessel for distilled water was placed underneath. 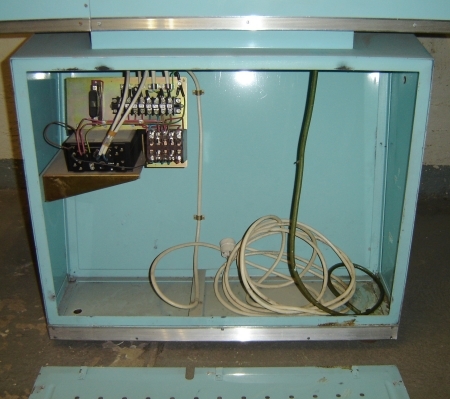 The unit was operated by turning the rotary switch (positions: 0 = “off”, 1 = “pause”, and 2 = “full”) on the attached control panel. Two control lights indicated the operating state of the table, a yellow light which lit when the table was on, and a red light which illuminated when the float inside the steam generator detected that the water was low. To use the table MfS staff turned the steam generator dial to the “full” position. This activated the heater inside the water receptacle. Once the water reached the correct temperature and began to evaporate the staff placed the flap of the letters on the angles of the W-shaped mesh grids. The vapor, which could reach temperatures of to 100ºC, emerged from the W and dissolved the adhesive. A towel was stretched over the opening to prevent water buildup. Up to 100 letters (between private citizens of the GDR) per hour could be opened on this device. Of the devices I’ve examined so far, this table has little outright evidence that it contains modified parts. Unlike the “hacker aesthetic” of other devices, attention has been given to the various additions to the table to match them to the original. The control panels use commercially-available switches and indicators and are constructed with sheet steel and painted to match the bluish grey steel of the tables. 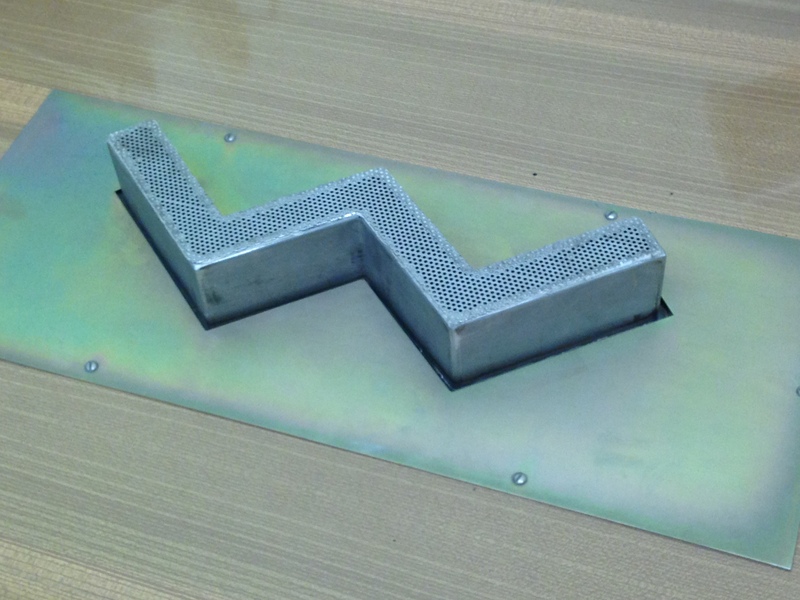 The “W” mesh steam dispersion grid appears to be constructed of aluminum or another treated metal that would not oxidize, and is attached to the table using a plate with measured and symmetrical fasteners. 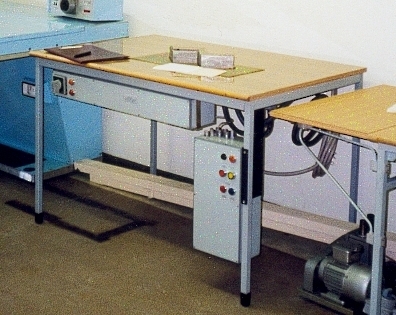 Like the Stasi organization itself, which over time refined their methods according their ideology and what was available, the sharp edges and reused parts on this transformed table are concealed to match the professionalism, efficiency, and attention to detail with which the workers were expected to perform their tasks. Work Table for Hot Steam Opening System 532 (Inventory no. 00007). Objekt- und Fotodatenbank Online im Museum in der Runden Ecke. Accessed June 10, 2017. Work Table for Hot Steam Opening System 532 (Inventory no. 00354). Objekt- und Fotodatenbank Online im Museum in der Runden Ecke. Accessed June 10, 2017. 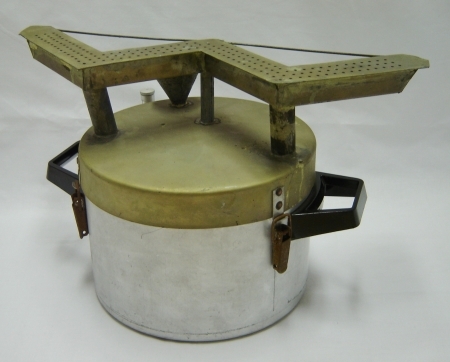 Like other devices constructed in the 1970’s and ‘80s by Department M and the Stasi OTS, this “Aufdampftopf” (“steam pot”) was fashioned using a basic household appliance as a starting point. Starting with a “cooking pot,” as it’s called in the Museum in der Runde Ecke index, the vessel was altered with a tight lid so it could be used to heat water (added via the attached funnel) and generate, collect, and disperse steam for opening letters. The “W” shape of the vapor dispersing grid on top corresponds to the adhesive edges of, not one, but two envelopes placed end to end on the mesh. Presumably an administrator or other coworker made a human mechanical observation in the spirit of efficiency, suggesting that if the grid was expanded then workers could open two envelopes at once. 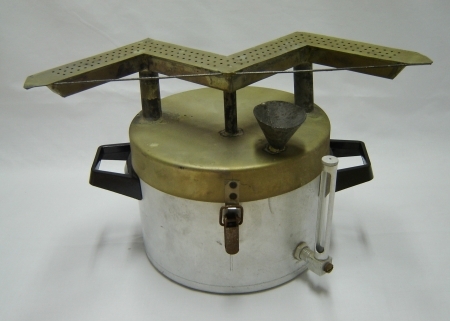 Like the Kleindampfentwickler with vapor dispersion grid on its top, the Dampfentwickler made from a steam pot also uses copper tubes and plating in its construction. Likewise, the steam pot additions exhibit a DIY aesthetic that contrasts with the mass produced original object. The copper, again chosen for its malleability and capacity to withstand water, shows signs of use in its darkening patina. It gives the steam pot the appearance of a prop for a dystopian science fiction film, or at least a reference to a real thing, inspiring one to think of a steampunk look popular among cosplayers. The Stasi’s practice of taking bits and pieces from whatever was available might have been based on scarcity given the economic constraints in communist GDR, but their hacked outcomes have a specific “remix aesthetic,” to borrow the term Eduardo Navas uses in his book Remix Theory: The Aesthetics of Sampling. Specifically, the Stasi’s reuse and appropriation of objects and materials towards utilitarian ends expresses itself in the same way the “sampling” of a DJ or musician might. Given the motivations for, uses of, and choices in construction of this device—to secretly open personal communications between individuals and examine their contents (which of course happens on the part of governments and corporations nowadays)—an art historian or anthropologist might term this a classic example of “early hacker”. Steam generator for opening letters (Inventory no. 00042). Objekt- und Fotodatenbank Online im Museum in der Runden Ecke. Accessed June 10, 2017. The Museum in der Runde Ecke in Leipzig has an amazing collection of devices found in the Leipziger district administration office (BVfS) during the dissolution of the Stasi. These are listed online in a thorough index with photos and descriptions. Their images are much better than those I was able to make through the glass of their museum displays, and while I’ve contacted the Citizen’s Committee about making new ones, they hopefully won’t mind if I reproduce some of them here in the meantime. Steam generator for opening letters (Inventory no. 00031). Objekt- und Fotodatenbank Online im Museum in der Runden Ecke. Accessed June 10, 2017. 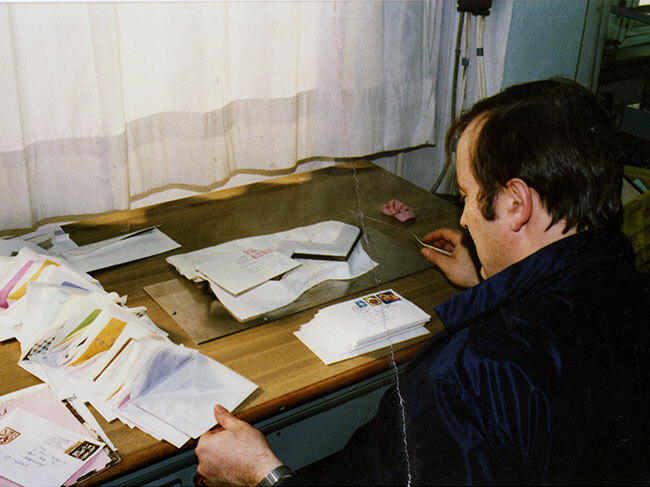 Department M, along with the Stasi OTS (Operativ-Technische Sektor), developed and implemented numerous technical tools, intelligence checks, and operational activities to speed their postal surveillance in the GDR. 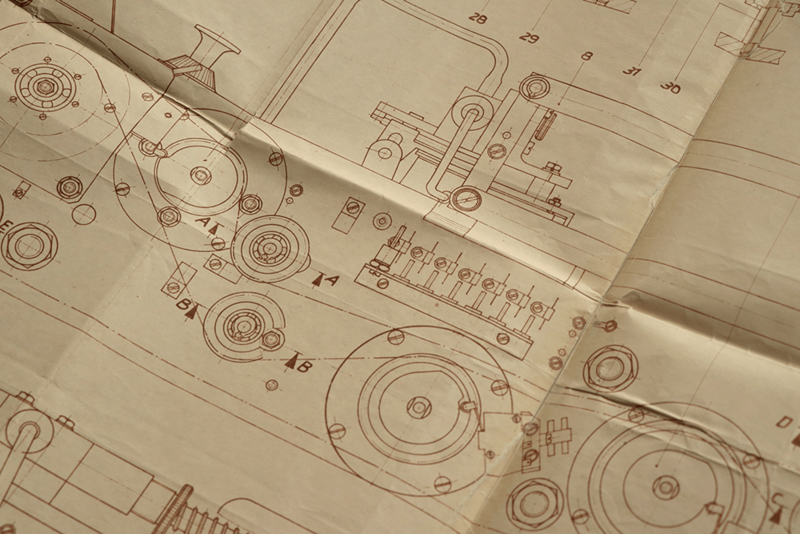 By the 1970’s, the department was already using various modified household appliances or industrial devices to assist in steaming open and closing letters. 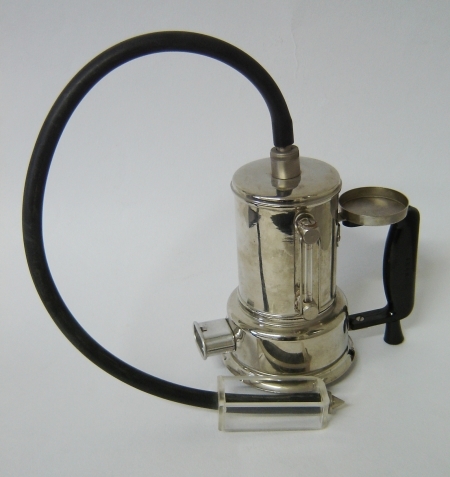 One example is this “Kleindampfentwickler”—a “small steam generator,” which appears to be a modified espresso maker or water boiler, with an added, V-shaped steam outlet. The materials and intentional flat and curved lines in the design of the chrome base and plastic handle suggest it was mass produced. 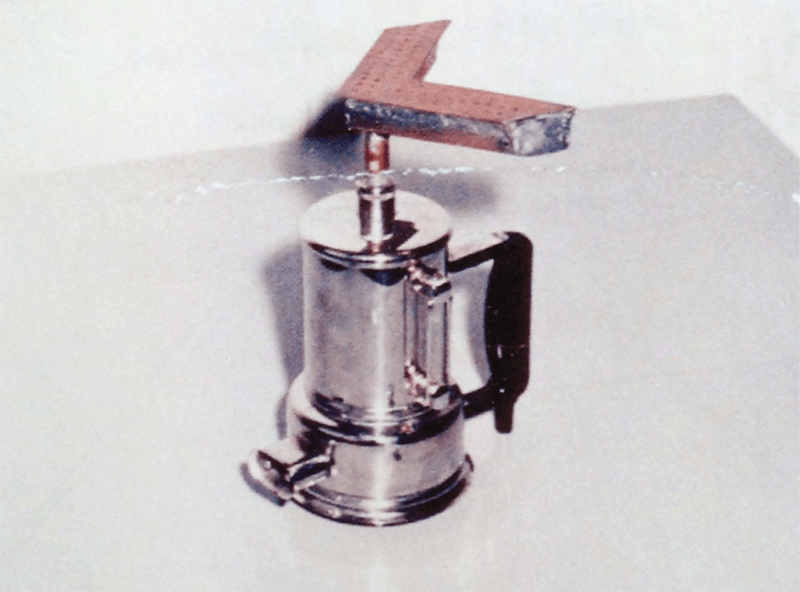 The Stasi probably chose the kettle for the wide base and low placement of the electrical connection which serve to keep the center of gravity low and prevent tipping. They used a V-shape for this and other steam outlets to match the angled shape of envelope flaps. This one is designed to loosen the glue on a single envelope, while other steam outlets could accommodate more. The crude construction of the modified steam outlet sharply contrasts with the retail-ready kettle. The choice of soldered copper for the material of the pipe leading upwards and steam outlet were probably based on what was available, water resistant, and easy to work with. Copper is used for speciality roofs and gutters, with the seams joined together using heat and solder. The joinery on the Stasi’s addition is not pretty, making it stand out against the base, but it exemplifies the experimental methodologies of the engineers who worked behind closed doors, as well as the belief the aesthetics or secrecy of their work would never be scrutinized. In the beginning of the 1970s most of the work of Department M was performed by hand. 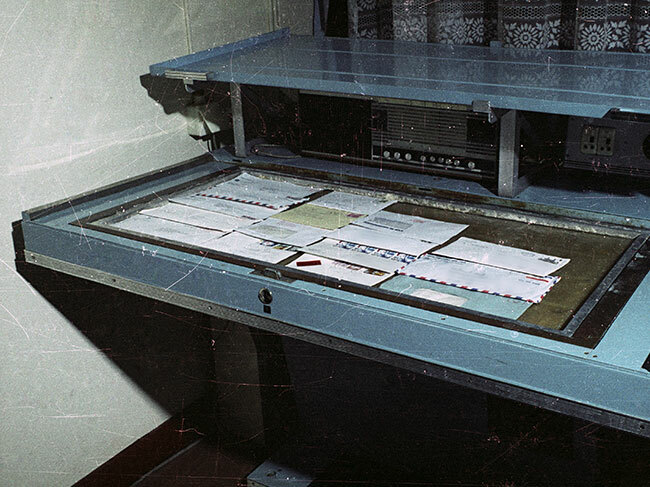 This labor included sorting and selecting suspicious mail, manually steaming it open, examining the contents, transcribing, copying or photographing the interior or exterior of the letter, in some cases, examining the letter for conspiratorial or stealth writing, resealing the envelope, and placing the letter back into circulation at Deutsche Post. 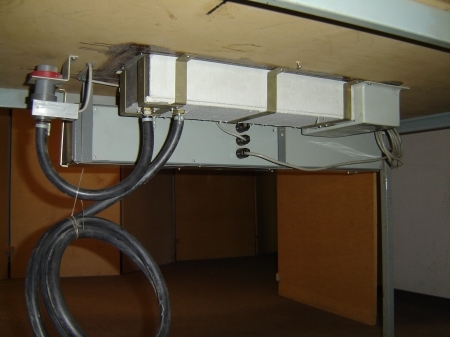 As the secret operations heightened the suspicions during the Cold War, and with the postal service increasingly relied upon for cross-border communications thanks to the Berlin Wall preventing face to face meetings, Department M received more pressure to increase their efficiency through mechanical means. Hanna Labrenz-Weiß, Abteilung M (MfS Handbuch). Hg. BStU. Berlin 2005. 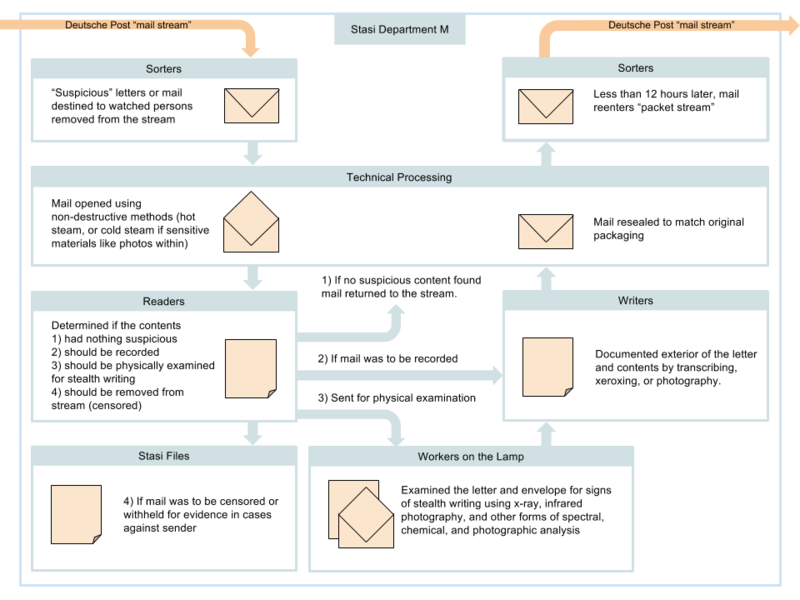 Today I made this diagram to describe the manual labor and flow of mail from the Deutsche Post stream through the Stasi’s Department M surveillance operations. It’s a fairly boring flow chart but gets at the heart of the organizational processes and divisions of labor they developed to speed their work. Big Bang Data at Somerset House in London, other exhibitions and interviews, and 5 million + cats! Entries (RSS) and Comments (RSS). 38 queries. 0.687 seconds.